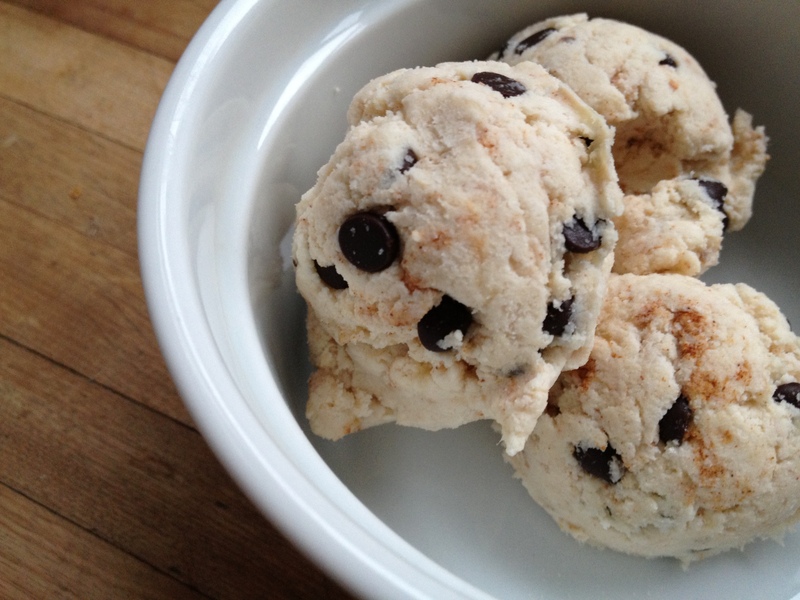 A sugar-free (minus the chocolate chips), grain-free, raw cookie dough?! This makes a single serving of about 200 calories (125 without chocolate chips). This can be altered to any kind of flavor you desire. Lots of cinnamon for a snickerdoodle, some walnuts for a banana bread batter, come cacao powder for a double chocolate experience! Make it your own and eat whenever you’re having a crazy cookie craving! Mix coconut milk, banana, and vanilla. Add flour, maca, salt, cinnamon and stir until well incorporated. Use Tablespoon to form into balls, like an ice cream scoop. Chill for 20 mins and eat! if you do not have maca powder will it mess up the recipe? Have you tried baking these? No I haven’t… I think they would be very dry. If you try, let me know!